Aptly named due to its beachfront location and tropical palms, Palm Beach Hotel is a lively and colourful property, situated on the edge of Kotu. "A good two-star hotel which more than meets expectations. Lovely staff always willing to help. Great location on the beach." The fabulous, palm-fringed beach on your doorstep. The range of activities and entertainment provided by the resident animation team. This property caters well for groups and individuals alike. Bathrooms have been renovated and air-conditioning is now included in the holiday price. 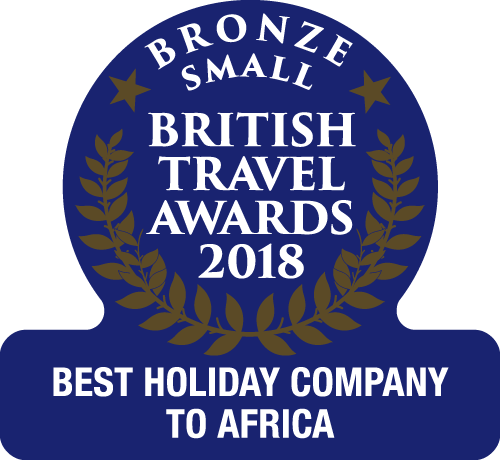 A good value option for couples, groups or families looking for a simple beach holiday, Palm Beach and its helpful staff really make this hotel stand out, along with the sociable and informal atmosphere. The public areas are spacious, with a pool, children’s pool, and neighbouring stage being the focal point of the property. During the day and after dinner there’s a friendly animation team who are fantastic for keeping the children occupied, allowing the adults to enjoy a spot of relaxation. 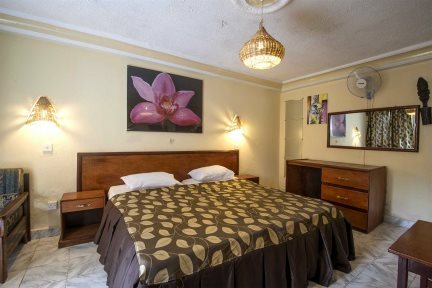 The spacious rooms are situated in two-storey blocks within the property’s mature gardens and are simply furnished, however air-conditioning is now included as standard for additional comfort. 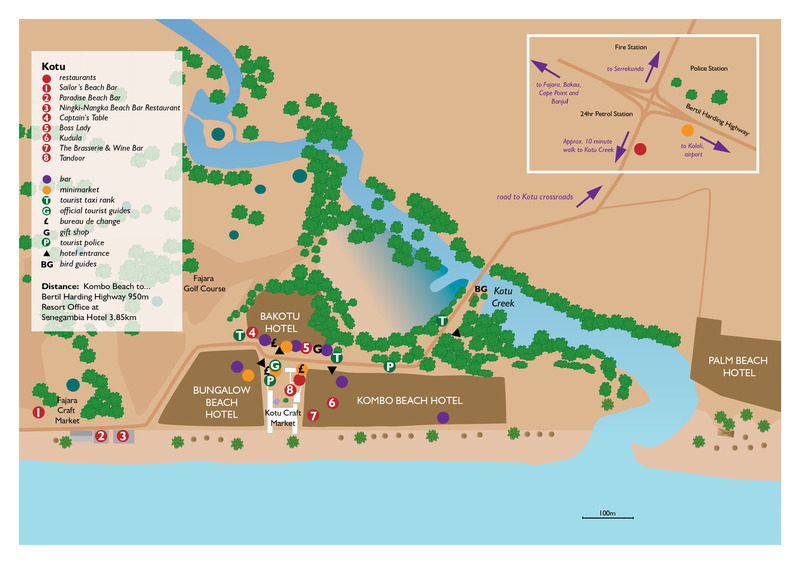 If you fancy a change of scenery, you’re within walking distance of the tourist area of Kotu, offering some low-key nightlife as well as birdwatching opportunities along the stream for which the resort is well known. Plus, just a short taxi ride will take you to the bustling resort of Kololi, also known as ‘The Strip’, where there’s a much wider choice of restaurants and bars. This is a resort area that has developed over the past few years with some new bars and restaurants now open in winter, in addition to hotel restaurants which are open to the public. 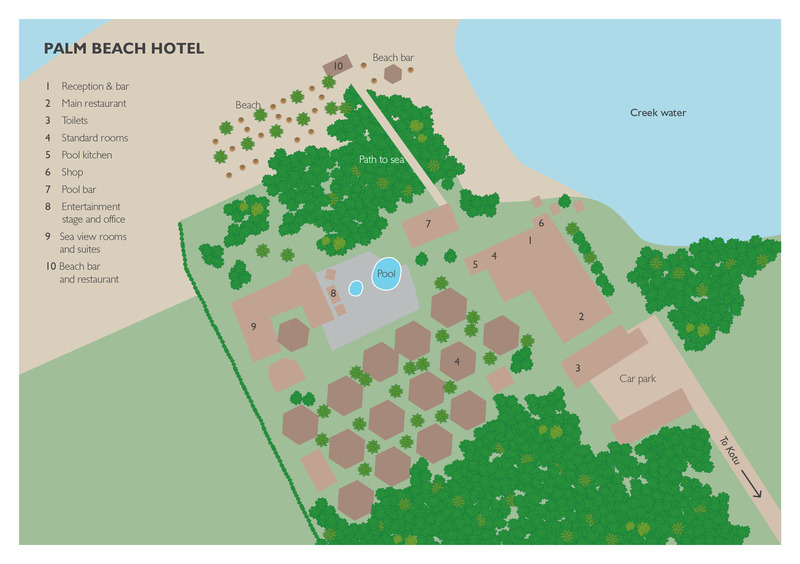 Kotu boasts some popular hotels, with Kombo Beach dominating the beachfront. There is also the quieter charm of Bakotu and the beautiful gardens of Bungalow Beach Aparthotel. The area also has a busy and boisterous craft market in which you can find batiks and all manner of superb wood carvings. Kotu has a number of good restaurants including the excellent Sailor's local restaurant which is along the beach. There is also a golf course nearby. A wide, sandy beach which is fairly flat and ideal for families, although not a very deep beach in terms of distance to the ocean. The area outside the Sunset Beach can change quite dramatically depending on the direction of the Kotu stream.